Educational meetings, functions and trade shows that offer technical training and pesticide credit. Educational opportunities through regional and national associations, including New England Nursery Association, American Hort and the National Association of Landscape Professionals. Also, networking with industry professionals. In-house certification and training education throughout the year, including Pesticide Applicator Certification. 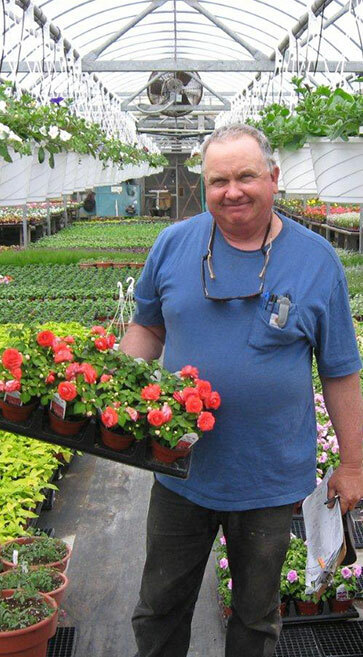 The Rhode Island Certified Horticulturist (RI∙CH) certification is reciprocal with all New England states. Pre-apprenticeship and apprenticeship training programs. Direct link to federal, state and local legislative issues. Close ties with the URI Plant Science Department, which provides training and up-to-date information on current issues and trends pertinent to the green industry. Involvement with the Horticultural Research Institute, which awards research grants for study of current horticultural and nursery issues. Guidance on selection of available health coverage plans, life and estate planning. Scholarships for college-bound students of members and their employees. State-wide recognition of outstanding landscape design, construction and maintenance projects judged by peers within the industry. Web visibility for your business through our public website www.rinla.org, where consumers can search for member companies by specialty or geographic location and which also provides a link to your company’s website. identifying membership certificates and decals of our logo, which convey our professional association to your customers. We use them to show our pride and commitment to our role in furthering the advancement of the nursery and landscape industry. For a nominal membership investment, you can join the hundreds of others in the industry who have already taken advantage of the many benefits RINLA has to offer. If you have any questions, please feel free to contact us at 401-874-5220 or email executivedirector@rinla.org. Thank you for your interest in RINLA. We look forward to welcoming you into our association.